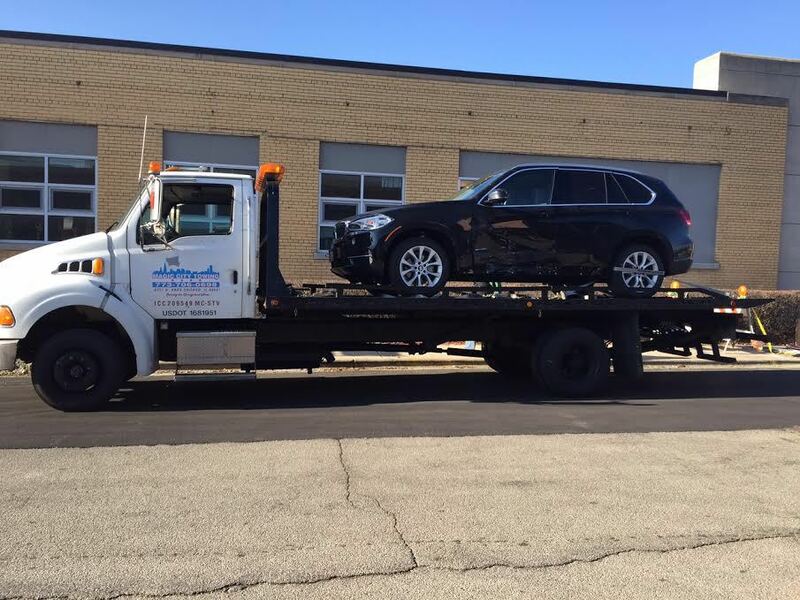 Take care of your car by choosing our flatbed towing company in Chicago. Magic Towing Service specializes in the safest way to tow: flatbed towing. Instead of using a dolly to tow your vehicle, we place your entire car on our flatbed truck. This protects your vehicle from wear and tear or other damage that could occur while towing. Our flatbed tow trucks are also excellent for towing vintage cars and specialty vehicles. Affordability, convenience, and safety. Those are the distinct advantages of depending on our flatbed tow service. When you contact us for services, we respond quickly to your needs, carefully winch your vehicle, and slowly pull it on to our flatbed. It's a no-hassle service that is safe for your car and affordable for you. In addition to flatbed towing, we also provide long-distance towing and wrecker towing services. Why add more mileage to your car or burn more rubber on your tires? Instead of driving your car long distances or using a dolly tow service, use our company for flatbed towing. We take great care by ensuring your car is towed properly and safely. Whether you have a classic car, an expensive car, or a larger vehicle, you can trust us for dependable long-distance towing. We have state-of-the-art flatbed tow trucks that ensure a sturdy, smooth ride. After securing your vehicle on the bed, we then head toward your point of destination. We carry all sorts of vehicles, from small cars to larger trucks to heavy equipment. Depend on our licensed, bonded, and insured company for reliable and emergency flatbed tow service. Serving the local area for more than 10 years, our flatbed towing company has earned an excellent reputation for providing top-quality and dependable services. Whether you need to go a few miles or a hundred miles, we can help. Unlike traditional towing, with flatbed towing, your car never touches the road. This saves your car from damage and you from worry. Accidents happen, but if they happen to you, we are available to provide comprehensive wrecker towing services in Chicago and the surrounding areas. We come to the rescue and transport your car wherever you want. In fact, by providing emergency services, we go out of our way to provide an immediate solution to your needs. At the same time, because we are highly skilled and trained, we use the latest equipment and always adhere to strict safety precautions to ensure your vehicle arrives safely at its destination. For an accident towing service that is prompt, reliable, and affordable, you can depend on us. Nobody ever plans for a car accident, but we do. We are always ready to respond to your call when you need accident towing services. From light-duty towing and medium-duty towing to flatbed towing and wrecker towing, we are fully equipped to address your needs. Call us anytime and we'll be at your location as soon as possible. Our friendly and experienced wrecker driver rescues your car from the road and brings it to your mechanic. It's the middle of the night, and you're stuck on the side of the road. You need a wrecker tow service that respond to your car immediately. At Magic Towing Service, we provide emergency towing services that give you peace of mind. Our friendly dispatchers are ready to answer your call any hour of the day or night, as well as on weekends and holidays. Since car problems never take a break, neither do we. Don't be fooled. It takes more than a tow truck to provide exceptional wrecker towing services. Instead, in order to ensure safe pick-up, transport, and delivery of a vehicle, the driver must be experienced and trained. We not only have the best equipment and trucks, but our staff is highly skilled in the field. Our company has an excellent reputation in the community and always delivers dependable services. Transport your vehicle the safest and most reliable way when you need to travel long distances. 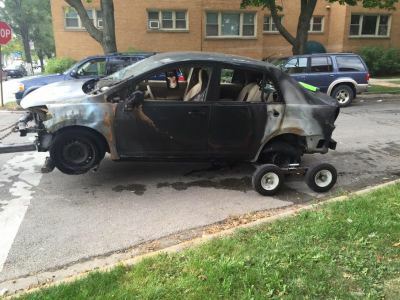 Magic Towing Service provides long-distance towing in Chicago and the surrounding areas. You may need to transport your car to another part of the city. Perhaps, you're far away from your favorite mechanic with an uncooperative vehicle. Either way, we can help. Contact our long-distance tow company to get you there safely and promptly. It doesn't need to cost a fortune to transport your vehicle from one place another. We not only offer 10% off on your first call, but we are also known for providing our services at affordable rates. Whether your car is damaged from an accident or you need to transport your vintage car to a car show, you can rely on us for affordable long-distance towing. Our highly-qualified crew drives the newest tow trucks and has the latest equipment to ensure safe transport. We have successfully moved many vehicles over the years. That's why people trust our long-distance tow company when they need a lift for their cars. In addition, we are fully licensed, insured, and bonded for your extra peace of mind. Are you stranded on the road and miles away from the repair shop you typically use? Don't bring your broken-down vehicle to just any mechanic. Let us tow it to the auto repair shop of your choosing. With our long-distance towing services, you are not limited by mileage. Instead, we take you where you need to go—within Chicago or the surrounding areas. When you need to tow your car, the last thing you want is an inexperienced driver to do the job. Having more than 10 years of experience in the business, our skilled crew knows how to provide reliable services to guarantee the safe transport of your vehicle. All of our staff members have undergone extensive training as well as background screening to ensure they are equipped to effectively handle any job.